Conrad “Marvin” Lang, age 79, went home to be with his Lord and Savior, Jesus Christ on March 23, 2019. A public visitation will be held on Friday, March 29, 12 - 2:00 p.m. at Woodlands Church, 190 Hoover Avenue, Plover, WI, followed by a Celebration of Life Service at 2:00 p.m. and open reception to follow. The Reverend Brian Berg (Senior Pastor, Woodlands Church) will officiate. Traditional burial will be held in the Vang Evangelical Lutheran Church Cemetery in Westby, Wisconsin, at a later date. Marv Lang was born on July 1, 1939 in the Norwegian American Hospital in Chicago, Illinois, the only child of the late Arne Conrad & Myrtle Olivia (Erickson) Lang(ørgan). He attended elementary school and Lane Technical High School in Chicago, Illinois. He earned a BS degree from Elmhurst (Illinois) College majoring jointly in mathematics and chemistry (1961). He earned a Masters Degree in Chemistry from the University of Wisconsin–Madison (1964) and subsequently his doctorate in Physical Chemistry from the University of Wyoming, Laramie (1970). Lang began his longtime association with the University of Wisconsin–Stevens Point in 1964 as an Instructor in the Chemistry Department. He rose through the ranks becoming a full Professor of Chemistry in 1977. 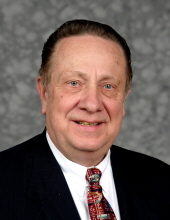 Retiring in 2006, he continued association with UWSP as an Emeritus Professor and received numerous appointments as Honorary University Associate. Lang received an NDEA Title IV Fellowship (1967-70) that allowed him to complete his Ph.D. at Wyoming. He received a post-doctoral appointment to Duke University (1971), Durham, NC and was named “W. B. King Professor” for the academic year 1976-77 at Iowa State University, Ames, Iowa. Professionally, Lang was involved with the American Chemical Society locally, regionally and nationally. He was a charter member of the ACS Central Wisconsin Section (1972) and represented it as national councilor for many years. He served two terms as an elected member of the Society’s Board of Directors (1989 – 1994), was named ACS Fellow in 2010 and recognized as a 50 year member of the ACS in 2011. Further, he served on the Board of Directors of the Chemical Heritage Foundation, a non-profit organization located in Philadelphia, Pennsylvania (1992-97). Lang received numerous awards, recognitions and honorary memberships for his contributions to chemical education locally, regionally, nationally and internationally. He was elected Corresponding Member of the Finnish Chemical Society, April 23, 1999, resulting in lifetime honorary membership "for outstanding contributions to chemical education in the nation of Finland and for success in presenting chemistry to the public-at-large." Marv met the love of his life, Louise June Swanson, as a young teenager at a Bible camp in southern Wisconsin. Many years later he and Louise were married, June 17, 1961. To their union were born three sons: Kevin Alan, Kurtis Erik and Kenneth Marvin. As a family, they lived in Madison, Wisconsin; Ames, Iowa; Durham, North Carolina; and Plover, Wisconsin; but most of their lives were spent in residence in Whiting, Wisconsin. Among his many outside interests were fishing and family history. Marv was quite content to sit in his boat fishing for rock bass and northern pike on Fountain Lake or “pecking” on his computer compiling Norwegian and Swedish genealogy back to the Middle Ages. All told, with his father and maternal grandparents being born in Norway and his wife’s parents emigrating from Sweden, Marv was able to trace his and his wife’s family into the 1500s with stories and interesting facts that his descendants are sure to enjoy. Marv Lang was a "born again" Christian having accepted Jesus Christ as his personal savior at 11 years of age. This eternal event happened at a Williams Bay Bible Camp in the summer of 1950. Since then, Marv has been an active and supportive member of the various churches in his life, including membership in the Grace Evangelical Free Church (Chicago) and participation in Bethany EFC (Madison, WI), First Assembly of God and First Baptist Church (Stevens Point), and Grace Baptist Church (Laramie, Wyoming). Marv and Louise then became charter members in the Wisconsin Rapids Evangelical Free Church (EFC) (1970) and helped formed the EFC of Stevens Point (currently known as Woodlands Church) in 1972 and served on the Church Board as an elected Trustee, Deacon, Chairman and Treasurer. Additionally, he served on the steering committee that formed the Forest Lakes District Conference of the Evangelical Free Church of America, serving three consecutive two-year terms as Director and Treasurer of the Forest Lakes District (1985-1991). Marv is survived by the continuing love of his life – his wife, Louise; his sons, Kevin (Pam) Lang of Plover; Kurt (Myong-Sûn) Lang of Tokyo, Japan, and Kenn (Kim) Lang of Yorktown, VA; six grandsons; and five granddaughters; and five greatgrandchildren. He was preceded in death by his parents. To send flowers or a remembrance gift to the family of Conrad Marvin Lang, please visit our Tribute Store. "Email Address" would like to share the life celebration of Conrad Marvin Lang. Click on the "link" to go to share a favorite memory or leave a condolence message for the family.